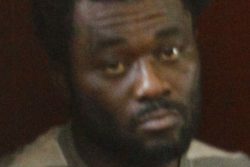 The family of Nafasi Edghill has many questions over what has been described as an accidental killing for which a friend, Seon Stoll was taken into custody and charged with manslaughter on Tuesday. Edghill, 39, a businessman of Castello Housing Scheme, Georgetown sustained a single gunshot wound to his abdomen and died at a private hospital on Friday while receiving medical attention. The incident occurred around 15:00 hours in front the Guyana School of Agriculture (GSA) at Mon Repos, East Coast Demerara. 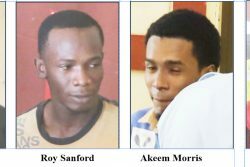 The police in a release had said that the businessman was at Mon Repos when he became involved in a playful scuffle with a friend, a licensed firearm holder and who had the firearm in his hand at the time. A round was reported to have been accidentally discharged and Edghill was struck to his abdomen. 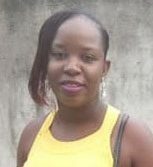 The brother of the dead man told Stabroek News on Wednesday that he was at work when a friend of one of the men who was present during the incident visited him and related that Nafasi had been shot and taken to the hospital. As a result, he said he immediately left for the Balwant Singh Hospital where Nafasi was undergoing emergency surgery and he was told he needed to lodge $700,000. He said he left for the money and returned only to hear that that Nafasi had died. Since the incident the grieving brother said Stoll had not contacted the family even to offer sympathy. The reason for the visit to Mon Repos on the fateful day was to locate a man who reportedly owed Stoll a quantity of money. According to the brother, Nafasi and his friends visited the Ministry of Agriculture on Thursday to locate the man but were unable to do so and were informed that he worked at GSA. The brother said that Nafasi was a member of the Guyana National Rifle Association and was aware of being safe around guns. “He won’t partake in playing with no gun”, the brother stated. Edghill leaves to mourn his wife, siblings and three children, the eldest of who sat the Grade Six Examination last week.